Grapiúna childhood: between the cocoa farm and the sea of Bahia. 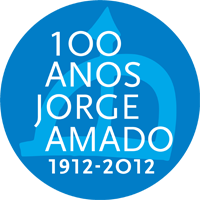 Jorge Amado was born on August 10, 1912, on the Auricídia Farm in Ferradas, Itabuna, the son of João Amado de Faria and Eulália Leal. His father had migrated from Sergipe to become a cocoa farmer in Bahia. 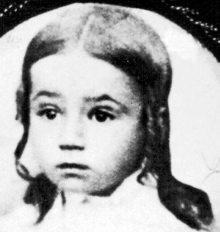 Besides Jorge, the first son, the couple also had Jofre, who died at the age of three, Joelson and James. Before their first-born was two years’ old, the family moved to Ilhéus to escape an outbreak of smallpox (the “black bladder”). On the southern coast of Bahia, the “grapiúnia nation”, the young Jorge Amado formed an intimate bond with the sea -- a fundamental element in his books --, and lived some of his most indelible experiences. He grew up amidst political struggles, land disputes and fights involving henchmen and gunslingers. His own father was shot in an ambush. In the company of the caboclo Argemiro, who would put him in his saddle and take him to Pirangi on fair days, the boy had his first contact with the poker table and brothel. The cocoa coast would remain one of the author’s favourite settings, featuring throughout his entire literary career in such works as The Violent Land, The Golden Harvest, Gabriela, Clove and Cinnamon and Showdown, portraying the fighting, cruelty, exploitation, heroism and drama associated with the cocoa culture that flourished in the region of Ilhéus in the early decades of the 20th Century. Students at Antônio Vieira college in 1923. 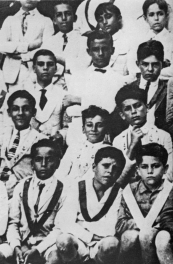 Jorge is at the centre of the second row from the bottom. Jorge Amado came into contact with letters through his mother, who taught him to read from newspapers. He completed his early studies at the Antônio Vieira College in Salvador, a religious boarding school to which he had been sent at the age of eleven. Despite the sensation of incarceration and his pining for the freedom and the sea of Ilhéus, it was there the lad experienced a nascent passion for books. His Portuguese teacher was Fr. Luiz Conzaga Cabral, who lent him works by the likes of Charles Dickens, Jonathan Swift, José de Alencar and the Portuguese classics. Fr. Cabral was the first to urge the young Jorge Amado toward a literary career, after reading a story the boy wrote, entitled “O mar” (The sea). In 1924, the boy broke out of boarding school and spent the next two months roaming the hinterlands of Bahia, making his way as far north as Itaporanga, in Sergipe, home to his paternal grandfather, José Amado. His uncle Álvaro, one of the pivotal figures of his childhood, went to collect him from the grandfather’s farm. In 1927, after a spell at another boarding school, the Ipiranga Gymnasium, Jorge Amado moved into one of the large manors in the Pelourinho, in Salvador. The building served as inspiration for his third novel,Sweat, published in 1934. The members of the Academy of Rebels in 1923. 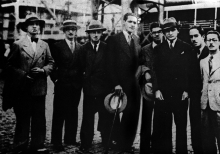 Jorge Amado is third from the left. Jorge Amado took his first job at the age of fourteen: police reporter for the Diário da Bahia, though he soon moved to another newspaper, O imparcial. At this time he was completely immersed in the popular bohemian life of Salvador, frequenting “houses of ill-repute”, bars, markets and tagging along with the fishermen in their traditional saveiro boats. In 1928, he and some friends founded the Academia dos Rebeldes (Academy of Rebels), a group of young writers that envisaged a “modern, but not modernist art”, foreshadowing the social focus and realist tone that would characterize the novels of the 1930s Movement. The group was led by the journalist and poet Pinheiro Viegas, and included Sosígenes Costa, Alves Ribeiro, Guilherme Dias Gomes, João Cordeiro and the ethnologist Edison Carneiro, among others. It was the latter who introduced Jorge Amado to the saint-father Procópio, from whom the writer received his first title in candomblé: ogã de Oxóssi (a kind of assistant in rituals to the hunting divinity, the orisha Oxóssi). The discovery of candomblé, a celebrative religion in which there is no notion of sin, and contact with Afro-Brazilian traditions and tales of slavery led Jorge Amado to develop a very specific notion of Bahia – and of Brazil – that would pervade his entire oeuvre: that of a mixed and festive nation. Jorge Amado’s first published work was the novella Lenita (1029), co-written with Edison Carneiro and Dias da Costa. The story was published in the newspaper O Jornal and the author used a pseudonym, Y. Karl. He later chose not to include this title in his complete works, saying: “It was just child’s play. We were kids when we wrote Lenita”. 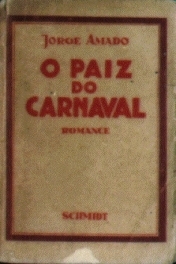 In 1931, at the age of eighteen, he published his first novel, The Country of Carnival, through the publishing house of the editor Augusto Frederico Schmidt. This novel is considered his true literary debut. That same year he moved to Rio de Janeiro, where he enrolled at the Faculty of Law. Though he graduated as a lawyer, he never practiced the profession. In 1932, he chose not to publish the novel Rui Barbosa n. 2 on the advice of friends, who felt it was too similar to his debut book. After a visit to Pirangi, a village near Itabuna which he had watched grow from nothing, he decided to write about the region’s workers. With Cacau, Jorge Amado began a cycle of novels portraying life on the cocoa coast.